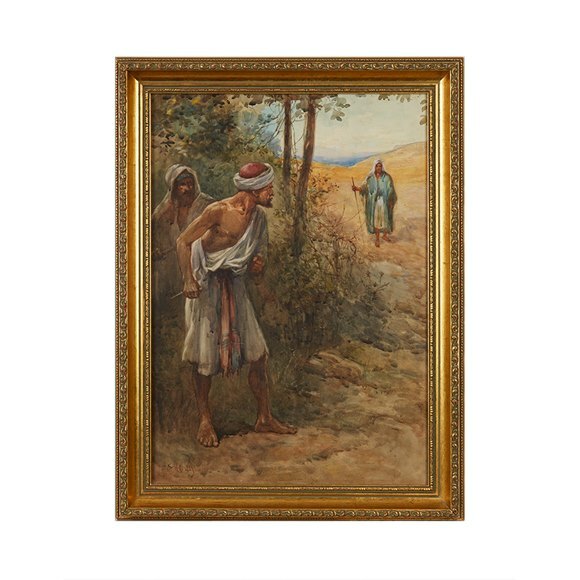 Condition This painting is offered in fine condition. 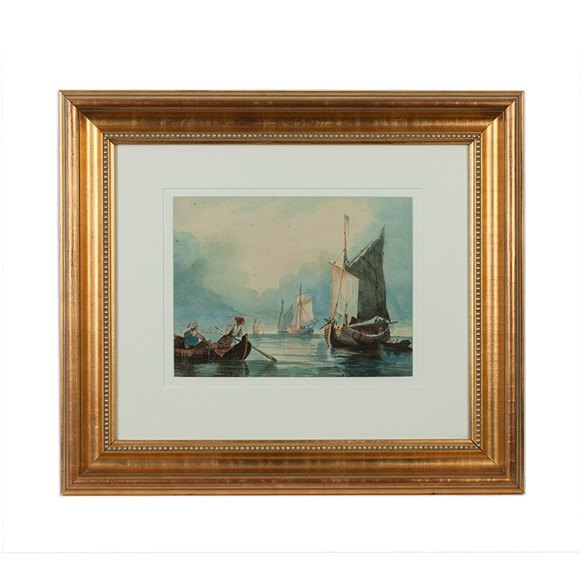 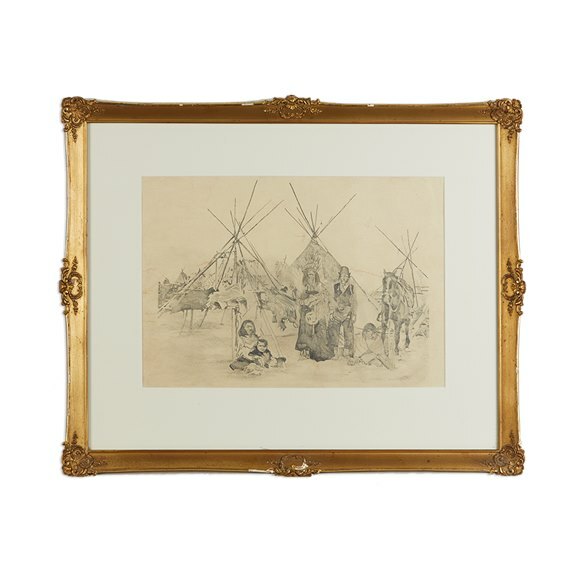 British born watercolourist Paul Sandby Munnn, had a colourful career that saw his works exhibited at the Royal Academy of Arts from 1799-1805 where he continued to develop his skills with Artists such as John Sell Cotman. 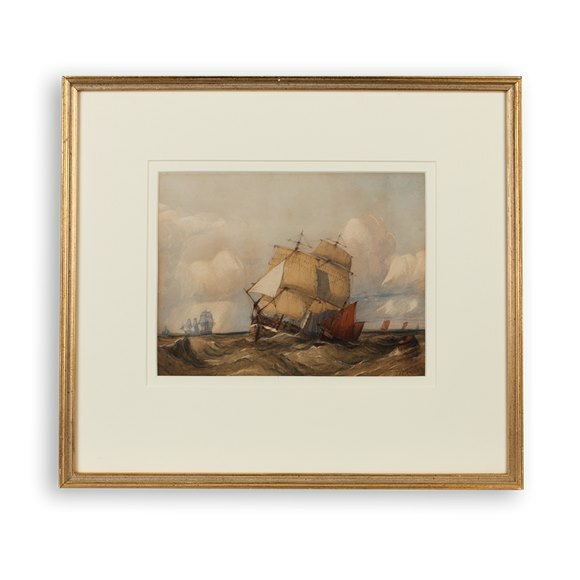 Munn later went on to become one of the first members of the Society of Painters in Watercolours. 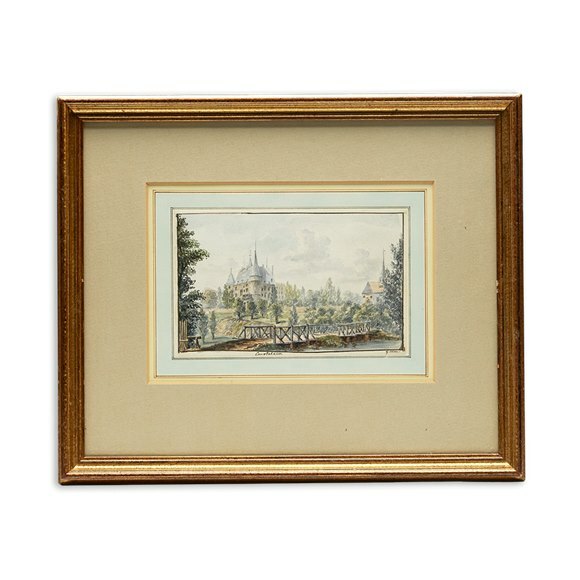 Munn's talent for sketching also had him drawing for John Britton’s Beauties of England and Wales publication. 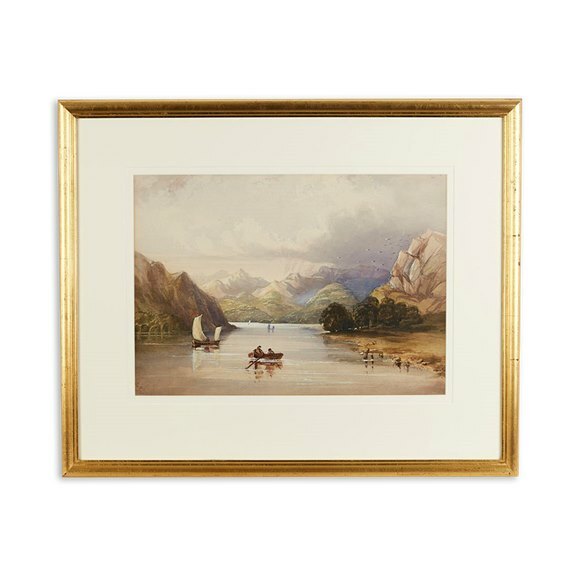 Paul Sandby Munn's work can be seen in the British Museum, The Courtauld Gallery, the V&A, the Ashmolean Museum and The Fitzwilliam Museum. 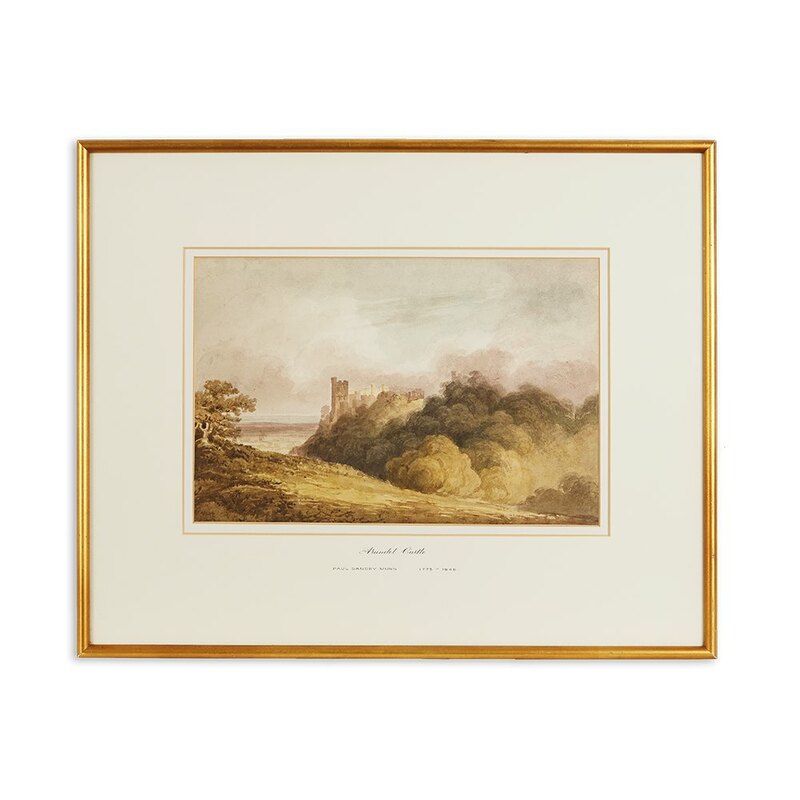 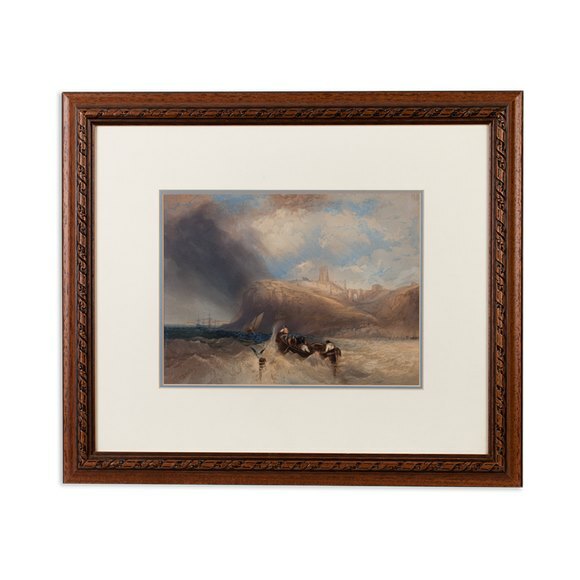 The watercolour shows a scene of Arundel Castle in Sussex, seemingly from a nearby hillside that overlooks the castle and woodlands, giving a sense of great depth into amongst sky and sea in the background. 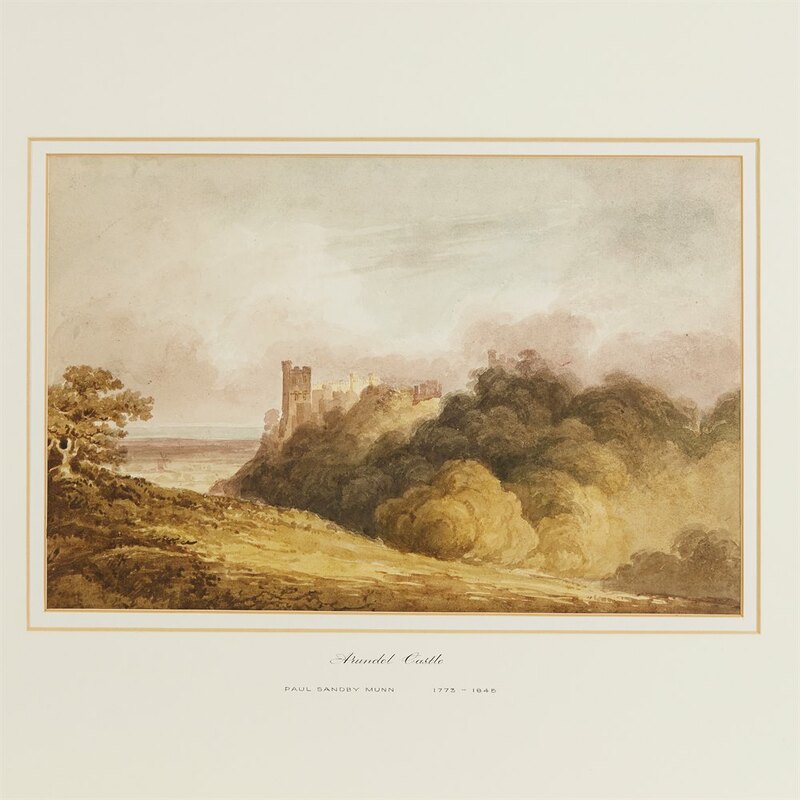 Model P.S.MUNN, ARUNDEL CASTLE 19TH C.